After our walk at MacRitchie Reservoir, we headed towards the direction of the row of nurseries (flowers & plants) along Thomson Road. 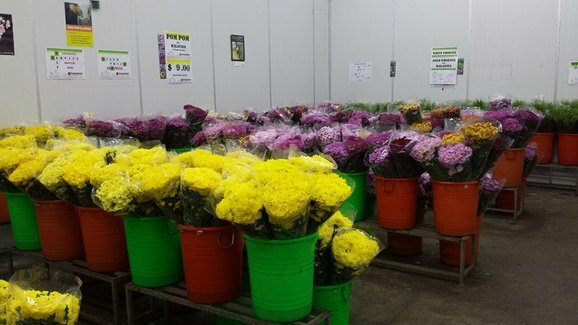 I’ve been wanting to bring my husband there for quite some time to check out where cheap flowers can be bought in Singapore. 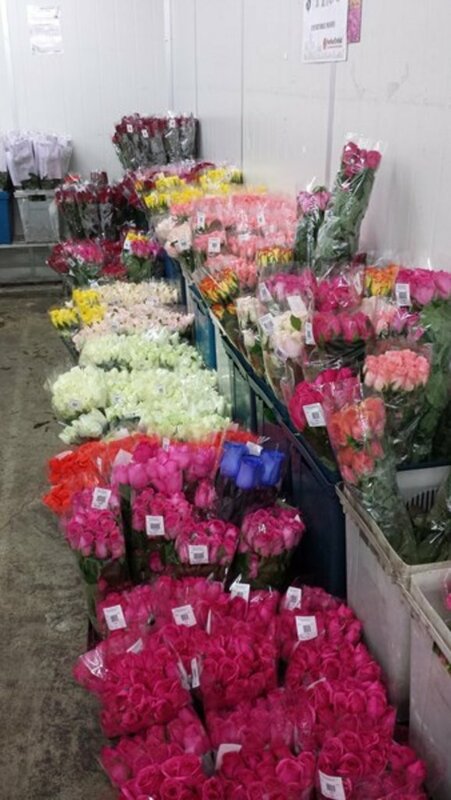 At Far East Flora, you will see a large array of imported fresh cut flowers at wholesale prices. Though they are only sold in bundles (no single stalk purchase), their prices are only a fraction of what you’d pay for a bouquet from the standard florist. The good thing about buying flowers here is that you get to mix and match different species and colours without breaking the bank. And the best thing? 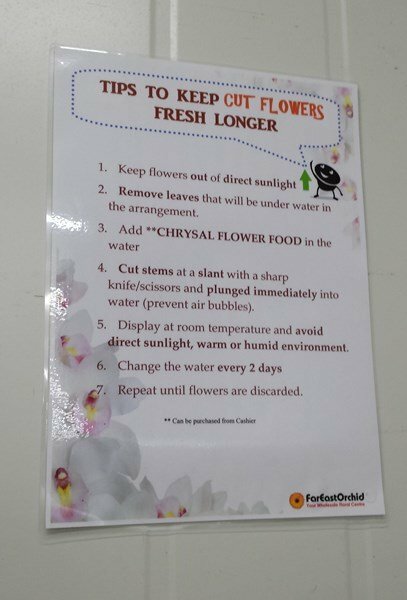 Keep yourself chilled at <10 deg C as the flowers are kept fresh in a cold room which is like a walk-in fridge. Perfect venue to escape the heat. Admission is free! 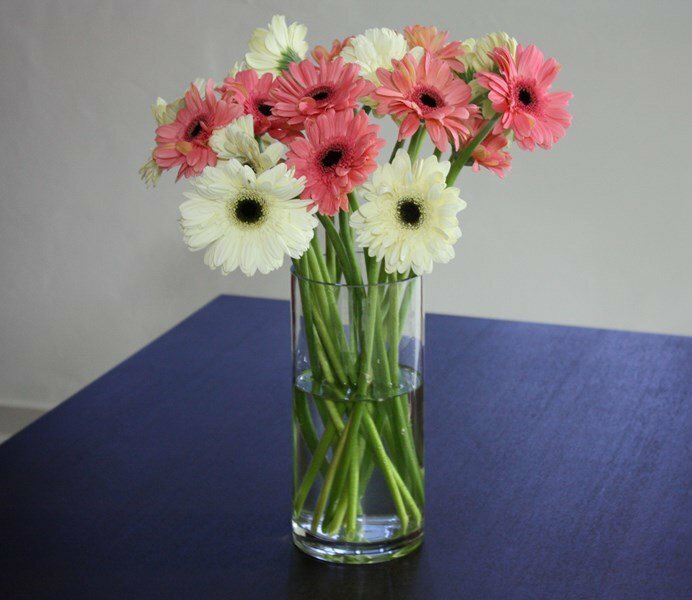 Gerberas of different colours at just $3.50 per bundle of 10 stalks. Familiar flowers that we often see in the markets – assortment of chrysanthemums and the like – that are normally used for Chinese religious praying or occasions. Blooming roses of various shades and colours. Pretty pretty! 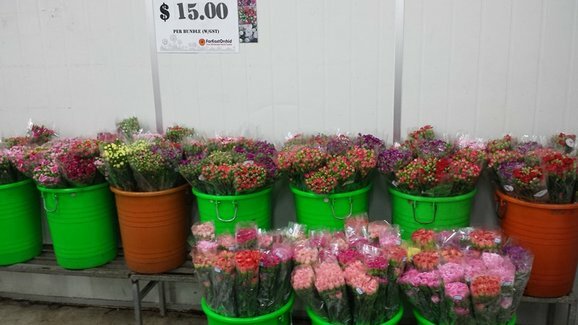 If you’re thinking of getting carnations for Mothers’ Day or Teachers’ Day, then you’ll be spoilt for choice here. Flowers not only give life and colour to the home but also help to lift up our spirits for some reasons. I guess that’s just the power of nature. Gerberas 😀 I love the different colours they offer. Totally spoilt for choice! Hi!do you remember how much does the blooming roses at far east flora cost? Hello Michael, I think the price range for roses was from $10.00 onwards for a bunch, depending on the origin but that was 2013’s price so it’s best you call them up to find out. Cheers. Hi Michael, I was there again over the weekend. Spotted 3 types of roses (different origins) at $8, $10 and $16.80 per dozen. Hope this helps. Cheers. how do i get there? what bouquet combination do you have for proposal? Hi Kevin, you can alight at the nearest MRT Station, Caldecott (Circle Line) and take a 5-min walk to Far East Flora. Alternatively, there are many buses that stop along Thomson Road, right in front of the nurseries. You can just google for directions. Please refer to their website for more information on available bouquets or give them a call at the number provided in my blog post. Cheers and good luck! Hi, may I know what are the opening hours? Roughly how many flowers are there in a bundle? Hi Natalie, it depends on the type of flowers you’re getting and even for each type, there can be different origins, packaging and prices so it’s best that you check out the nursery yourself. Cheers. Hi, for these wholesale fresh flowers, I don’t think there’s delivery unless you’re ordering in bulk? You might just want to give them a call to find out more. Cheers. Hi Jennifer, yes they do but that would definitely not be under wholesale prices. You can check out their website for their retail section and pick your bouquet from the choices available. Cheers. I need to make 3 flower bouquets, and would like to use Hydrangea and Yang Peony. May I know they sell these? Hi Agnes, it’s best you call them directly to enquire about the availability. I also love buying from Far East Flora! They always deliver good quality bouquet on scheduled time. Hello, I would like to now if the prices of the flowers now are still around that range of price in 2013? Depends on the origin of the flowers esp. that of carnations and roses that come in wide price range. May have slight increase for certain breeds but prices are still acceptable in general. hello is this shop still around ? Hi Halijah, you’ll have to check with Far East Flora directly. Tel no. is at the bottom of the post. 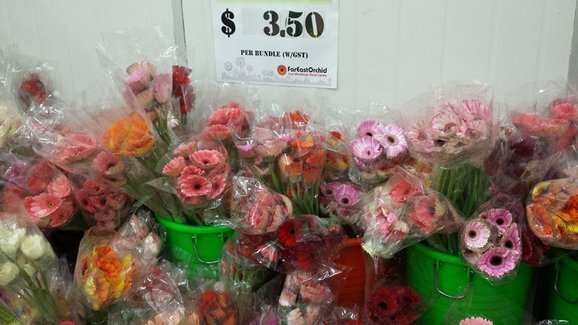 are the prices for gerberas still about 4-4.50 per bunch of about 8? stalks? You have to call them up to check. Prices do fluctuate. Also they may not always be available. Didn’t find any when I last visited months back.